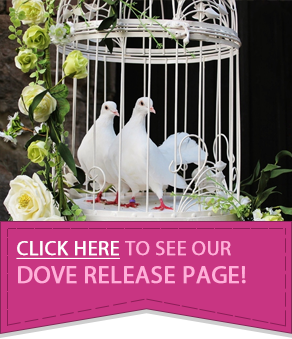 Make your prom an evening to remember! 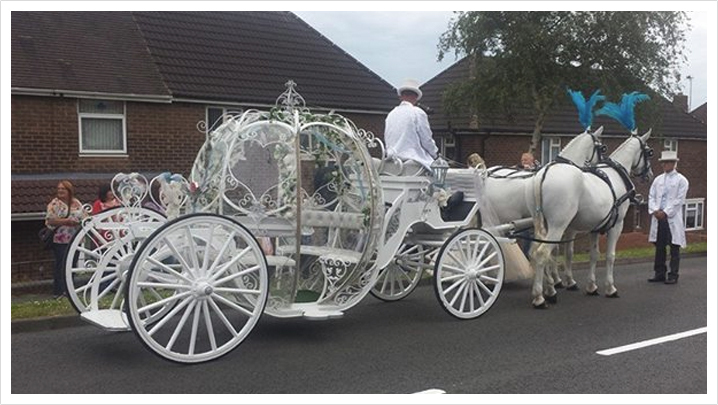 Whether traveling with your very own Prince Charming or making an entrance with ‘The Girls’, our tailored horse and carriage hire packages mean you can arrive in style; looking and feeling like a Princess! 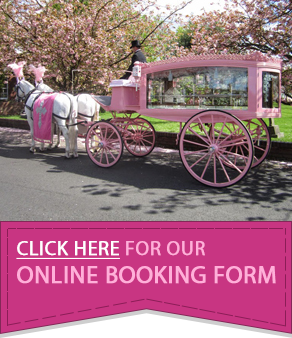 With a selection of traditional, horse drawn Landau coaches and fairytale Cinderella carriages, we are sure to have a carriage that suits your style. For even greater WOW factor, all of our carriages can be decorated in ribbons of your chosen colour to match or compliment your dresses. 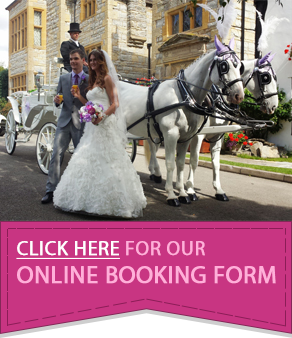 Personalise our prom packages even further with your choice of horses to guide your carriage. In addition to having the option of hiring either black or white horses to lead your carriage, we offer a number of different turnouts to make sure you have the perfect journey. Opt for a modest and elegant pair of horses, a traditional team of 4 procession or really make an entrance with a 6 in hand turnout. As well as carrying you to your prom like a Princess, we are also happy for you to pose alongside our horses for photographs. We ensure that our Coachmen are dressed in formal attire and top hats should you also wish to feature us in your photos. To ensure that the journey goes as smoothly as possible and our Coachmen are familiar with the route they will be taking, we will have a ‘dry run’ prior to your event.